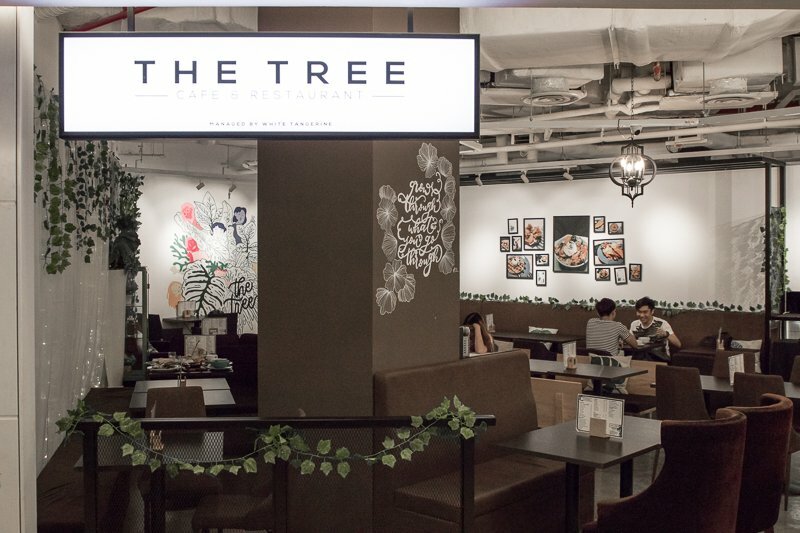 The Tree Cafe at The Cathay is their second outlet, with the first one being located in Downtown East. 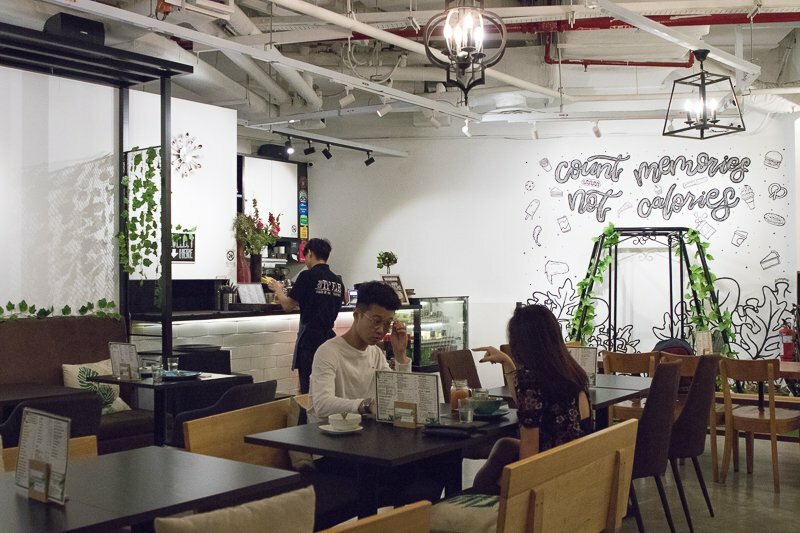 With its new prime location, The Tree Cafe dishes out affordable meals, targeting the students in the vicinity. 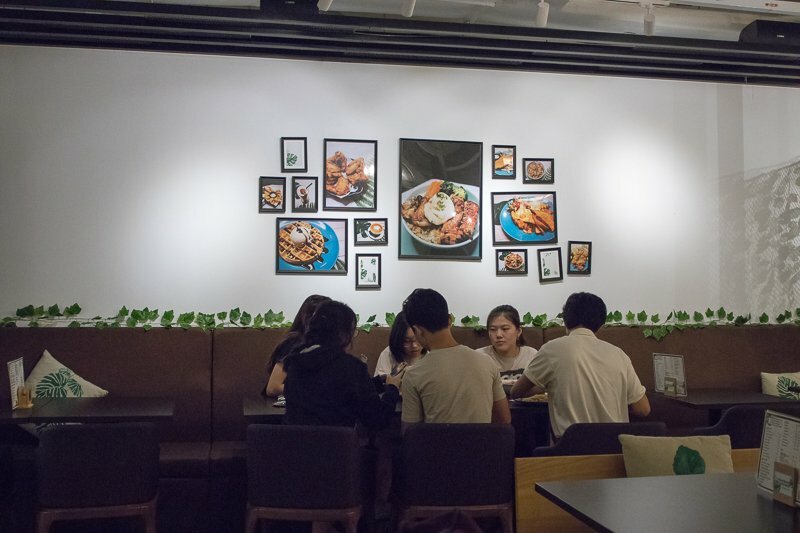 The cafe boasts a large dining area on the second floor of The Cathay, with drawings designed by the owner’s friends on the walls. To start our meal, we tried the Crispy Chicken (S$9.50) which came with two sides of our choice (Butter Rice, Fries, Salad, Aglio Olio, Wedges or Coleslaw). 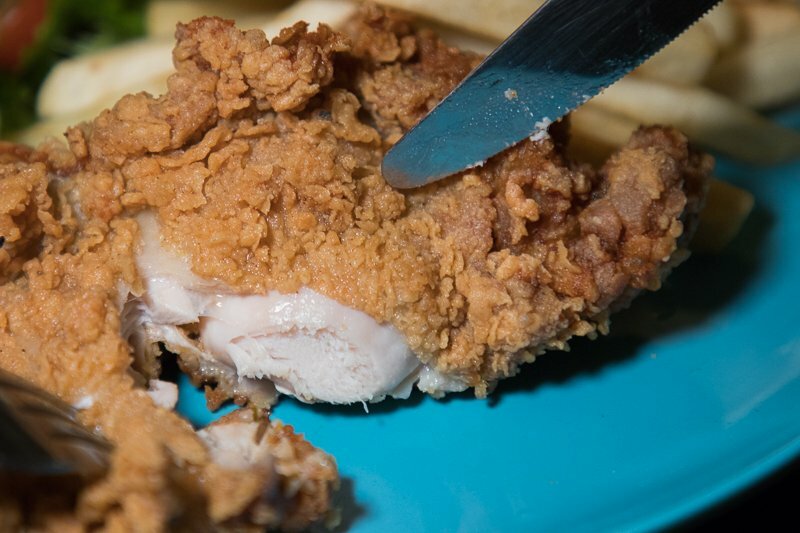 The chicken came with an irresistible golden crust that was just inviting me to take a bite. Cutting into the chicken, I noticed that each piece was juicy despite being fried. I could also taste the fragrant and slightly peppery seasoning, which included aromatic paprika. In contrast to the tender meat, the batter was crisp and buttery, with a creamy finish on my palate. A side of honey mustard was also provided for a tangy kick that also helped to cut through the lingering oily feeling at the back of my throat. 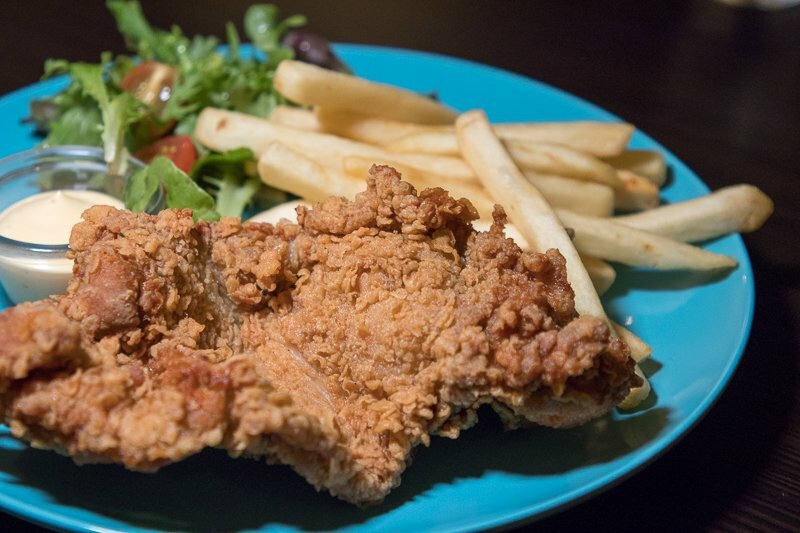 To me, a slab of fried chicken like this could never go wrong. However, I wished there was a spicy kick that would keep me coming back for more. 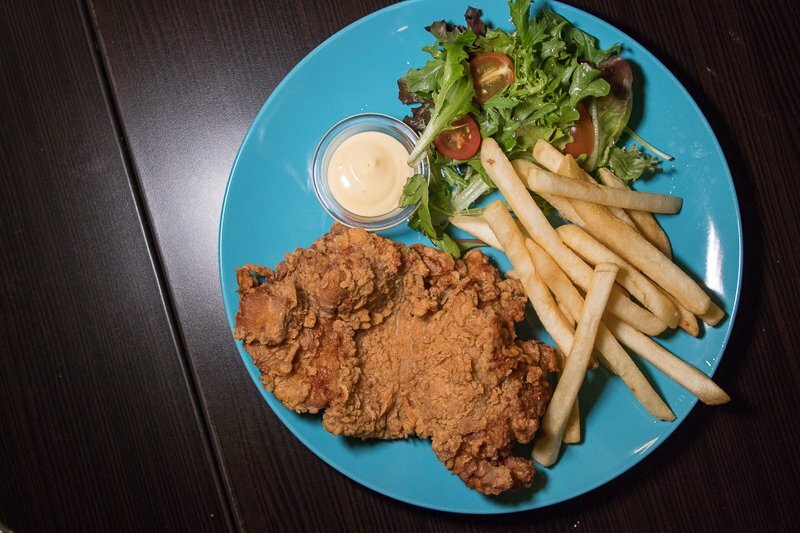 For just S$9.50, this dish gives many fast food chains serving fried chicken a run for their money. 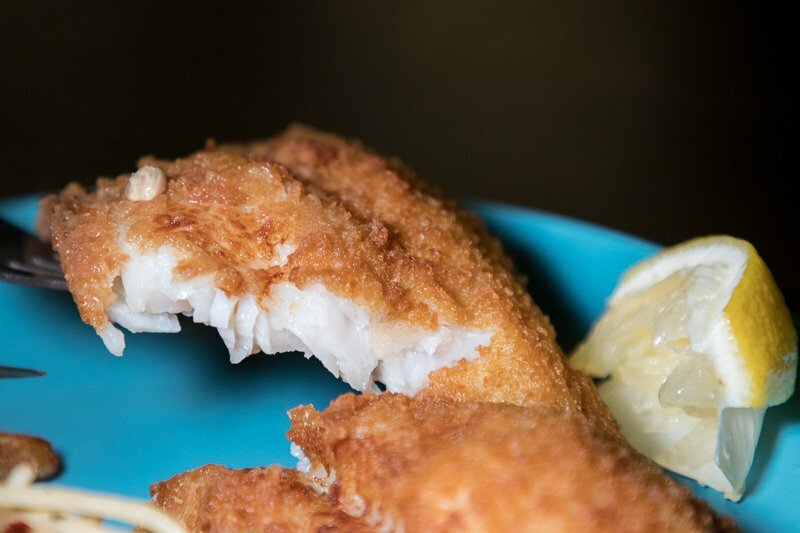 Usually you’d avoid fish if you’re looking for an affordable meal, but trust me, you won’t have to splurge to enjoy the Breaded Fish (S$9.50) which also comes with two sides. 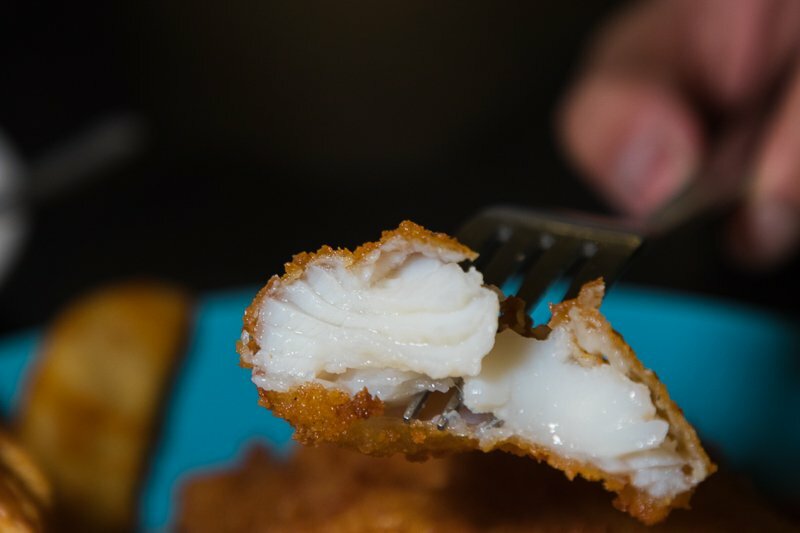 The fish had a thick crisp batter that crackled once we cut into it. Cutting it open reveals a silky pearly white flesh that flaked off nicely in our mouths. The fish had a natural sweetness with a just touch of briny flavour. The batter, however, was slightly oily as it must have soaked up much of the oil during the frying process. I would recommend squeezing the lemon over the fish, to cut through the greasiness. I really liked the combination of the hot fish together with the tartare sauce. The creamy tartare sauce also accentuated the natural sweetness of the fish and added a tangy flavour to the dish. To complete the meal, I would recommend going for the Aglio Olio as a side dish. 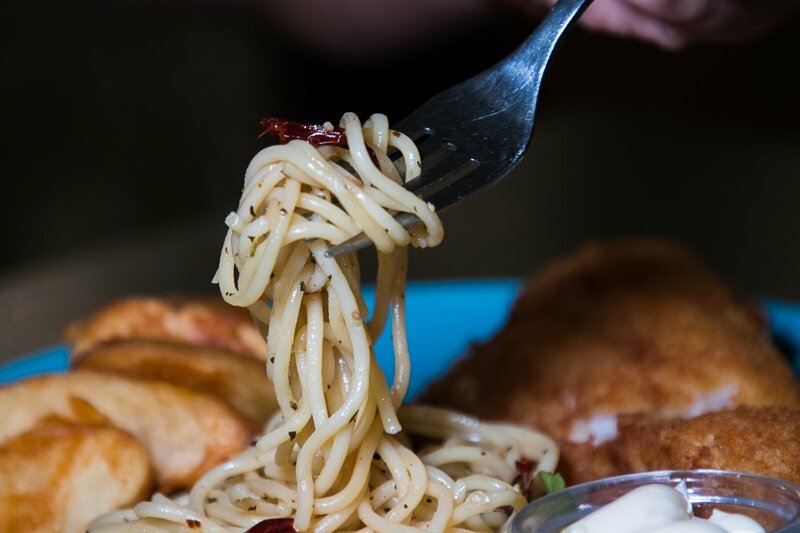 The Aglio Olio was on the dryer side, which complemented the slightly oily fish and chips. On top of that, the al dente pasta was peppery and garlicky, giving the entire dish more depth of flavour. 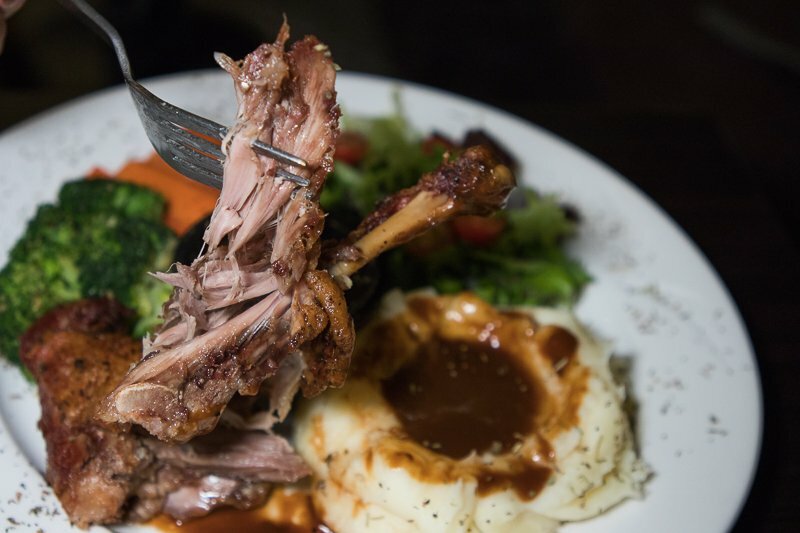 If you are feeling slightly more “high SES“, you could also go for their signature Sous Vide Duck Confit (S$15.90). It has crispy skin and I could see bits of thyme and black pepper on it as well. The meat fell apart easily under its own weight and had a distinct gamey taste. However, I felt that the meat was quite tough and rather dry. This was made slightly better with the duck jus, which added some moisture to the dish and further highlighted the gamey flavours. Despite its higher price, the Sous Vide Duck Confit (S$15.90) was a let-down for me. It was not as juicy as I hoped it would be and the flavours were rather flat, with gaminess being the only thing I tasted. If I’m studying within the area, The Tree Cafe would definitely be somewhere I’d head to for its wallet-friendly choices. 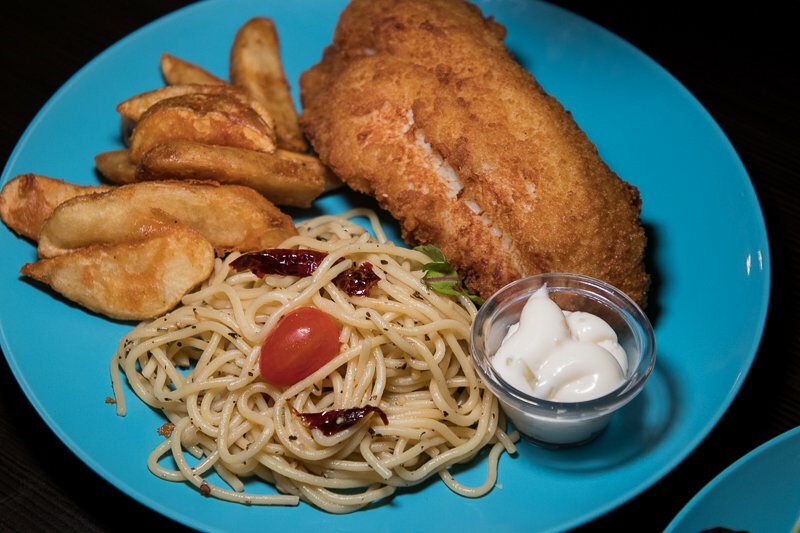 Offering nett prices, most of the dishes are under S$10 — affordable for students and working adults alike. 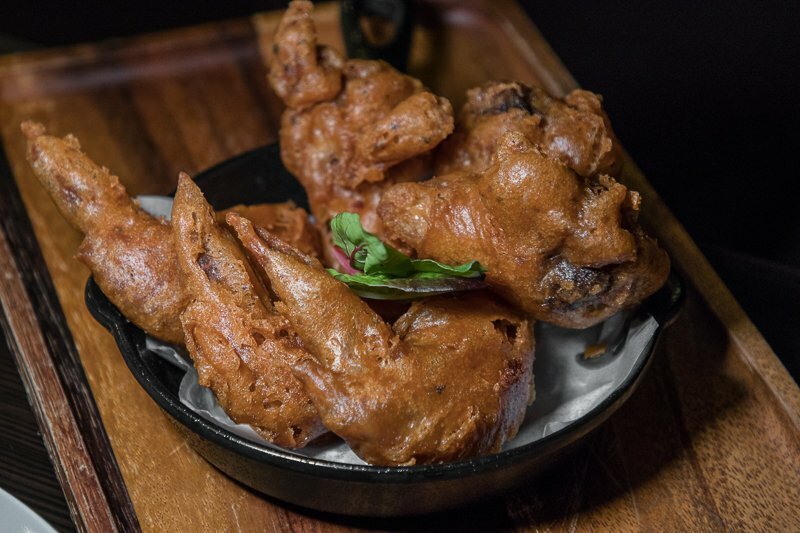 Even if you just need a snack during your study session, The Tree Cafe has dishes like Prawn Paste Wings (S$6), succulent wings coated in thick crispy batter. 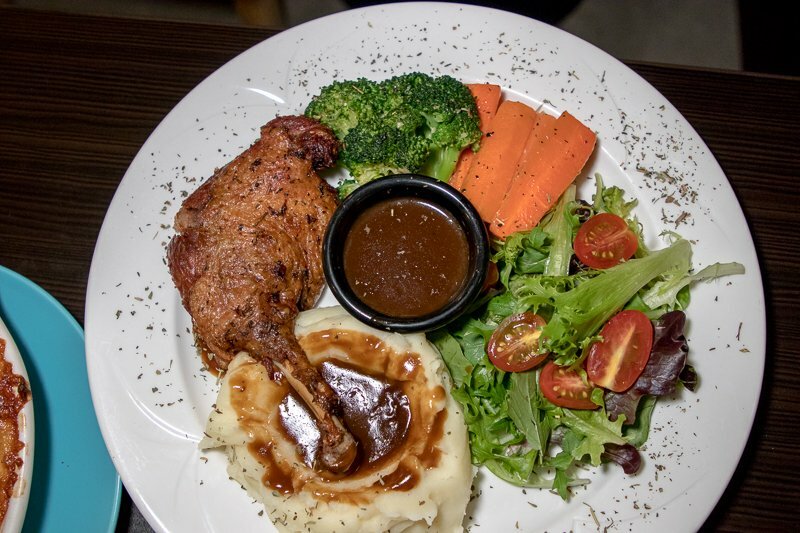 I believe that there is a dish to suit everybody’s tastes at The Tree Cafe. Besides, it could be your new study spot, since students get an extra S$2 off.